Masters champion Judd Trump claimed an absorbing 6-5 victory over Barry Hawkins to reach the final of the World Grand Prix at Cheltenham Racecourse. Hawkins raced to a 2-0 lead but Trump was level at the interval and there was never more than a frame between them. Trump was never ahead in the match but produced an assured 95, the contest’s highest break, in the deciding frame. He will play Ali Carter in Sunday’s final, after the world number 19 thrashed Xiao Guodong 6-0 on Friday. World number seven Hawkins, 39, who beat Ryan Day, Marco Fu and Kyren Wilson to reach the last four, was seeking his fourth ranking title, having won this event in 2017, and made several high quality breaks, with a best of 92. 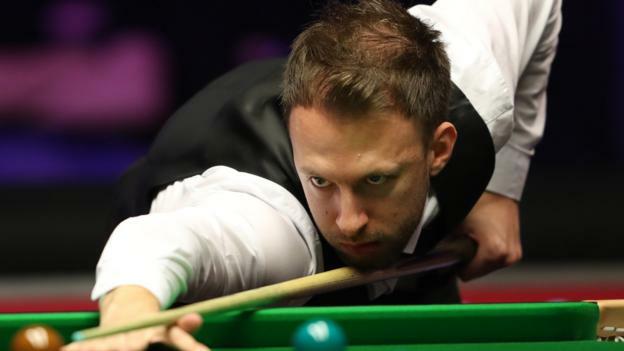 But fifth-ranked Trump enhanced his quest for a third title of the season, having beaten Ronnie O’Sullivan to win the Northern Ireland Open in November. “I felt like the whole game I was up against it, giving away easy chances, but I’m so happy to get through,” said the 29-year-old, who is through to his 19th ranking final.